The Royal Cork Yacht Club has entered a Twinning Agreement with Yacht Club de Monaco (YCM) www.yacht-club-monaco.mc and a reception to mark the occasion was held in YCM on Sunday, June 28th at 17.30 hours. YCM have reciprocal arrangements with fifty one clubs worldwide but only have Twinning Agreements with fifteen. Royal Cork Yacht Club is the only yacht club in Ireland or the U.K. to have such a Twinning Agreement and is the first club to have been invited to Twin with YCM since 2006. 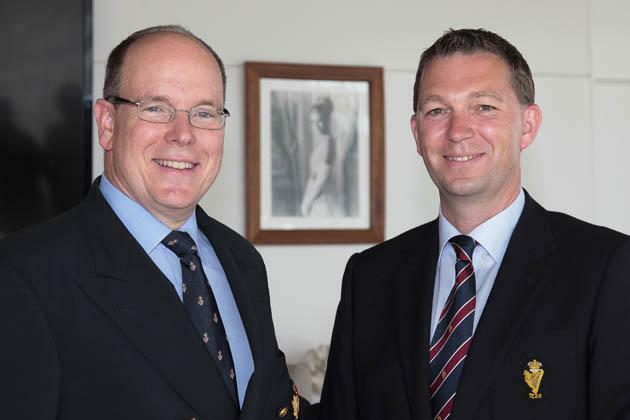 Royal Cork Yacht Club General Manager, Gavin Deane, travelled to Monaco to attend the lavish reception in the newly built yacht club (opened June, 2014), hosted by His Serene Highness Prince Albert II, President YCM. The reception had a dual purpose, to celebrate the Twinning with the Royal Cork Yacht Club and to host new members to the club. The reception was attended by 1500 people and was followed by a dinner for 200 invited guests. To submit news or events to the site, contact us here.